Meditation meets high tech. 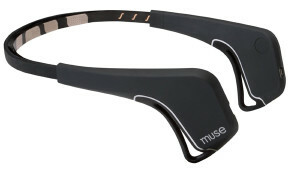 MUSE is a brain sensing headband that guides you through meditation and measures your brainwaves to give you feedback on your experience. It is meditation made easy and allows you to obtain a deeper sense of focus and motivates you to build a highly rewarding practice. MUSE meditation is an amazing ritual to start off all your services at Float Alchemy. It will begin to transition you from the noisy outside world and bring your attention inward where you can find all the answers you need. At your first session you will get your own MUSE account so you can see improvement and milestones while your meditation practice grows deeper and the benefits get better. MUSE sessions are priced inexpensively so you can work on building your meditation practice. All sessions are 30 minutes, but we recommend you start small with short (or multiple short) sessions, building up slowly. This service is priced so you can create a practice that serves your lifestyle.